So I placed my order (immediately regretted it) but since it was the weekend I was not able to cancel prior to processing. My interest was piqued anyhow and when it arrived four days later I was ecstatic to give it a try. The products alone are great and despite other reviews I found alluding to the fact they are not all worth it, I beg to differ. Never have i been to Sephora and walked out with four products I would repeatedly used for 80 USD. The priming moisturizer really takes care of redness. My highly critical baby sister pointed out one day that it looked like I wasn't wearing makeup but my skin looked good and wasn't red like usual - I take that as A+ for the product. I am saving these for special occasions as it looks like it would finish rather fast. Both the balm dotcom and face mist are solid products to keep in your repertoire. After seeing the balm on Net-A-Porter, I knew it had to be good as their beauty products are carefully curated. (That's how I discovered Eyeko's amazing Sport Mascara). The balm remains in my bag and is in rotation with my fresh balms. And, the mist really is great to spritz either after finishing your makeup or just when feeling dry (quite frequent as temperatures drop in New England). 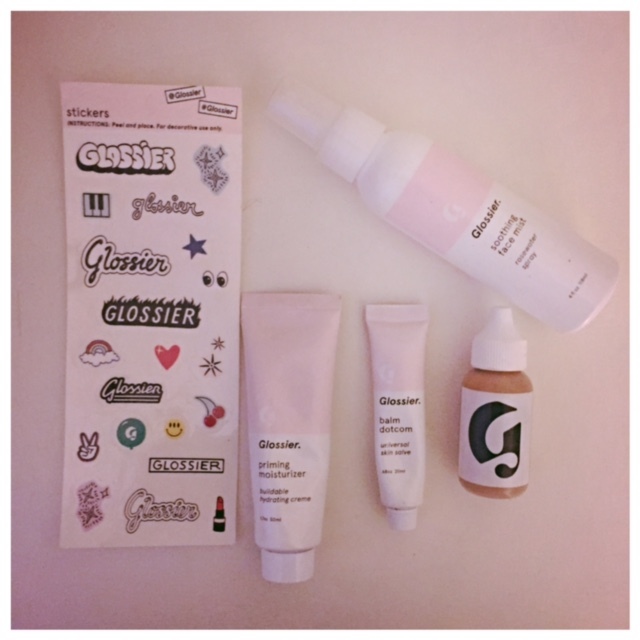 I do use all the products and I feel like the value is great. This would be a great addition for keeping skin in check throughout the holidays and makes an awesome gift. If I were to just recommend one it would be the Perfecting Skin Tint given it filled a void in my makeup bag. I also found when I used all products all I added was brows, eyeko mascara and bb cream and achieved a look to carry me through the day. Read more about the products I continue to use on the daily when you browse through the BeautyTalk tag. PS - Get 20% off your first order when you follow my link.